We have many holiday homes in this beautiful part of the world and we have had a few owners come to us for a simple website that shows off their cottages or apartments. 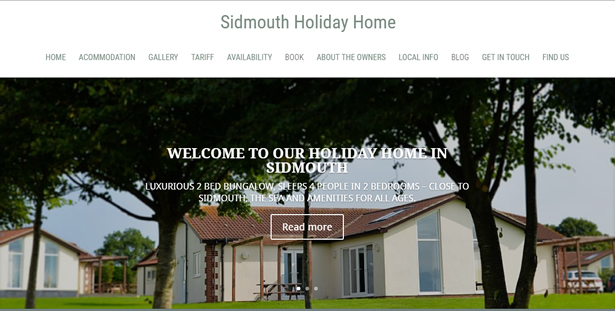 This one page WordPress website was built for a holiday home near Sidmouth with stunning views. The site provides all the necessary information about the property and an availability calendar which the owner can update themselves via the WordPress dashboard.